Dickson Phillips has helped clients with their legal problems for more than 35 years as trusted counselor and adviser, and as advocate in negotiation and in court. He brings to each engagement broad knowledge of the law, insight that comes only with experience, and unyielding commitment to efficient and favorable outcomes for his clients. 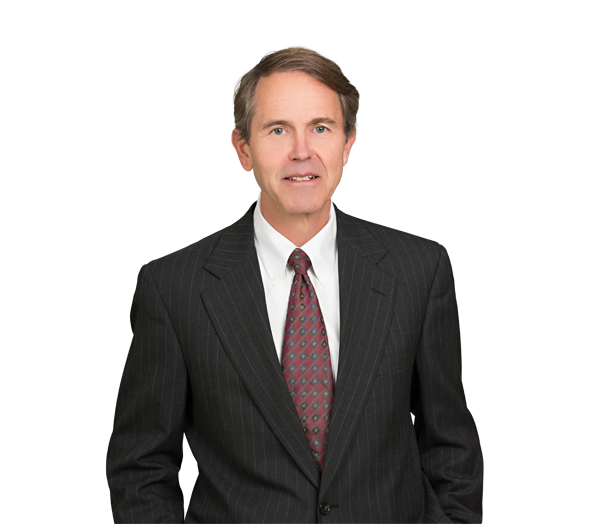 Dickson regularly advises businesses and individuals in a broad spectrum of legal concerns, including contract drafting and enforcement, trademark and copyright protection, real estate, and public records and privacy matters. As a litigator, he has handled a varied mix of business and commercial matters in state and federal courts and administrative agencies, including contract breach, trade secret misappropriation and unfair competition, copyright, trademark, internet domain name, land use, corporate governance, public records and governmental affairs matters. In 1992, Dickson became one of the first lawyers in North Carolina to be certified as a mediator, and he has taught mediation and negotiation at UNC School of Law and the Duke Private Adjudication Center. Obtained dismissal on personal jurisdiction grounds of case filed in federal district court alleging trademark infringement and unfair trade practices. Represented company and new employee against effort to enjoin employment on grounds of alleged trade secret misappropriation, obtaining favorable judicial rulings requiring plaintiff to specify trade secrets before seeking detailed discovery of competitor's business, resulting in favorable settlement and dismissal of the claim. Represented transportation logistics software provider in obtaining injunction against former customer's violation of trade secret nondisclosure agreement and non-circumvention agreement. Represented professional practice in obtaining injunction against competing practice's use of infringing trademark in website metatags. Represented owner of trademark in federal lawsuit alleging trademark infringement in online advertising, resulting in favorable consent agreement. Represented online marketing company against claim that founders misappropriated trade secrets central to company's business model and success (Winklevoss-type claim), resulting in favorable settlement and dismissal of the claim. Represented client in suit against insurance company for refusal to provide client's defense in a suit for trademark infringement, resulting in summary judgment and payment of client's damages in their entirety. Represented credit union in obtaining summary judgment dismissing a long-running case alleging misapplication of customer account, and was affirmed on appeal; appellate ruling clarifies application of certain statutes for banks and other financial institutions throughout state. Nelson v. SECU, 775 S.E.2d 334, rev. den., 778 S.E.2d 94 (2015). Represented group of landowners in obtaining summary judgment, which was affirmed on appeal, invalidating rezoning and grant of conditional use permit on grounds the county violated mandatory statutory processes. Murdock v. Chatham County, 679 S.E.2d 850 (2009), rev. den., 690 S.E.2d 2010 (2010). Represented real estate development partnership in obtaining dismissal with prejudice of claims for fraud and unfair trade practices in connection with troubled real estate development. Represented startup company in obtaining favorable settlement of claim that institution reneged on agreement to purchase services from client, leading to client's failure. Represented buyer in obtaining favorable settlement of claim that complex textile manufacturing machines were incomplete upon delivery to People's Republic of China. Represented governor of North Carolina in suit challenging the constitutionality of constitutional amendment ballot questions. Represented North Carolina Department of Health and Human Services in suit enjoining changes to Medicaid program. Represented North Carolina executive agencies in public records litigation presenting issues of first impression. Will a Troublesome Part of the North Carolina Trade Secret Statute Finally be Clarified?